Oct. 30, 2017 7:57 a.m.
President Donald Trump’s former campaign chairman, Paul Manafort, and a former business associate, Rick Gates, surrendered to federal authorities Monday in the first charges stemming from the special investigation into possible ties between Trump’s presidential campaign and Russia. Manafort and Gates surrendered to federal authorities in Washington, and are expected in court later Monday to face charges brought by Mueller’s team, according to one person familiar with the investigation. A second person said that Gates had worked out an arrangement to turn himself in on Monday. Both spoke on condition of anonymity because they were not authorized to discuss an ongoing federal probe on the record. The charges, which have not been made public, are the first in special counsel Robert Mueller’s investigation into potential co-ordination between Russia and the Trump campaign. The New York Times first reported that Gates and Manafort were surrendering Monday. Mueller was appointed as special counsel in May to lead the Justice Department’s investigation into whether the Kremlin worked with associates of the Trump campaign to tip the 2016 presidential election. The appointment came one week after the firing James Comey, who as FBI director led the investigation, and also followed the recusal months earlier of Attorney General Jeff Sessions from the probe. Investigators have focused on associates including Manafort, whose home was raided in July by agents searching for tax and international banking records, and ex-national security adviser Michael Flynn, who was forced to resign in February after White House officials said he had misled them about his conversations with the Russian ambassador to the United States. Manafort joined Trump’s campaign in March 2016 and oversaw the convention delegate strategy. Trump pushed him out in August amid a steady stream of negative headlines about Manafort’s foreign consulting work. Trump’s middle son, Eric Trump, said in an interview at the time that his father was concerned that questions about Manafort’s past were taking attention away from the billionaire’s presidential bid. 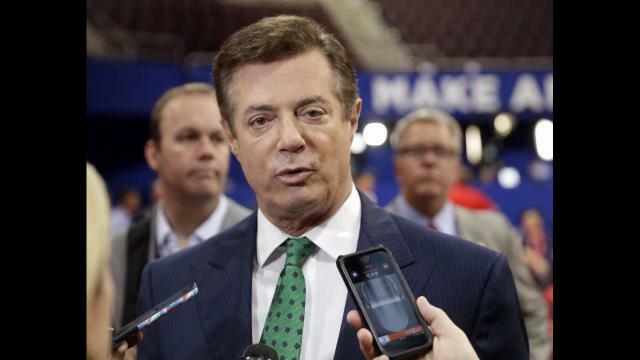 Manafort has been a subject of a longstanding FBI investigation into his dealings in Ukraine and work for the country’s former president, Viktor Yanukovych. That investigation was incorporated into Mueller’s broader probe. The investigation has also reached into the White House, as Mueller examines the circumstances of Comey’s firing. Investigators have requested extensive documents from the White House about key actions since Trump took office and have interviewed multiple current and former officials. Mueller’s grand jury has also heard testimony about a June 2016 meeting at Trump Tower attended by a Russian lawyer as well as Manafort, Donald Trump Jr., and the president’s son-in-law, Jared Kushner. In Gates, Mueller brings in not just Manafort’s chief deputy, but a key player from Trump’s campaign who survived past Manafort’s ouster last summer. As of two weeks ago, Gates was still working for Tom Barrack, a Trump confidant, helping with the closeout of the inauguration committee’s campaign account.